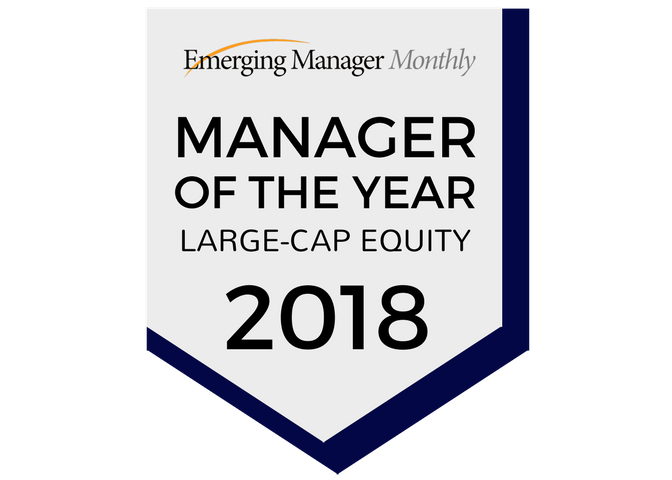 Englewood, CO, March 19, 2018 – Wakefield Asset Management, LLLP, is pleased to announce that our Wakefield Large Cap Equity Portfolio was named as a Top Gun in 7 categories by Informa Investment Solutions’ PSN manager database for performance returns for the quarter ended December 31, 2017. The Large Cap Portfolio is managed by G. Todd Gervasini, the Managing Partner and Chief Investment Officer for Wakefield Asset Management, LLLP. We are truly honored to receive not just one, but seven awards for our Large Cap Equity strategy. Our Large Cap investment team has received dozens of awards over the years, all of them a result of their dedication and conviction to continuous improvement and desire for excellence. About Informa Investment Solutions’ PSN Top Guns List: Utilizing a proprietary blend of Informa Investment Solutions’ top priority performance screens, PSN Top Guns ranks products in six proprietary star categories in over 50 universes. This is a highly anticipated quarterly ranking and is widely used by institutional asset managers and investors. The complete list of PSN Top Guns and an overview of the methodology can be located on http://www.informais.com/resources/psn-top-guns. For more details on the methodology behind the PSN Top Guns Rankings contact Ruth Calderon at ruth.calderon@informais.com. About Informa Investment Solutions: A market leader in intelligence and software solutions for investment professionals and financial institutions of all sizes, Informa Investment Solutions offers a robust set of analytics and tools to help you grow and retain your business. With a nearly 40-year history, Informa Investment Solutions is part of Informa PLC, a leading business-to-business knowledge provider serving International markets. Informa Investment Solutions has set the standard for providing turnkey and customizable applications for performing manager searches, building wealth plans, and producing client reports and investment marketing materials for companies worldwide. For more information, please visit http://www.informais.com/ and follow https://twitter.com/InformaInvest. The Large Cap Core Equity universe is comprised of 210 managers with 358 strategies. The US Core universe is comprised of 314 managers with 779 strategies. The peer groups were created using the information collected through the PSN investment manager questionnaire and uses only gross of fee returns. PSN Top Guns investment managers must claim that they are GIPs compliant. 6 STAR CATEGORY: Products must have an R-Squared of 0.80 or greater relative to the style benchmark for the recent five-year period. Moreover, products must have returns greater than the style benchmark for the three latest three-year rolling periods. After that they select only the products which standard deviation for the five-year period is equal or less than the median standard deviation for the peer group. The top ten information ratios for the latest five-year period then become the TOP GUNS. 5 STAR CATEGORY: Products must have an R-Squared of 0.80 or greater relative to the style benchmark for the recent five-year period. Moreover, products must have returns greater than the style benchmark for the three latest three-year rolling periods. After that they select only the products which standard deviation for the five-year period is equal or less than the median standard deviation for the peer group. The top ten returns for the latest three-year period then become the TOP GUNS. 4 STAR CATEGORY: Products must have an R Squared of 0.80 or greater relative to the style benchmark for the recent five year period. Moreover, products must have returns greater than the style benchmark for the three latest three year rolling periods. The top ten returns for the latest three-year period then become the TOP GUNS. 3 STAR CATEGORY: Top ten performers are strictly based on returns for three-year period. 2 STAR CATEGORY: Top ten performers within their respective universes are strictly based on returns for the one-year period. 1 STAR CATEGORY: Top ten performers are strictly based on returns for the most recent quarter. Bull & Bear Masters: Products must have an R-Squared of 0.80 or greater relative to the style benchmark for the recent three-year period. Moreover, products must have an Upside Market Capture ratio of 100 or more for the latest three-year period, and Downside Market Capture ratio of 100 or less for the latest three-year period. The top ten Ratios between Upside Market Capture Ratio and Downside Capture Ratio became the PSN Bull & Bear Masters products.